Proud owners of coffee makers will know that once you let one into your life, it’s difficult to live without it. So we’ve come up with five of the best tips to keep your coffee machine healthy and happy. With everyone looking to save money at the moment the last thing anyone wants is for a key home appliance like a washing machine to break down. 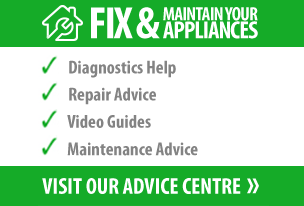 Today’s post looks at one of the common, and most preventable, causes of washing machine faults. How can an Electricity Monitor Save Me Money? Imagine if there was an easy, effortless way to save energy in your home and save money at the same time. We could all do with a few extra pounds in our pockets, and reducing energy consumption is something we strive for but is often easier said than done. With an Efergy Wireless Electricity Monitor you can do both in one go!